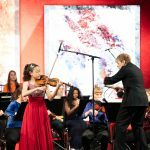 Tianyou Ma, winner of the Senior 4th Prize at the Menuhin Competition Geneva 2018, will be performing Brahms’ magesterial Double Concerto with Maxim Calver, winner of the String category of 2018’s BBC Young Musician who also performed the fundamental continuo with The Yehudi Menuhin School Orchestra during the London 2016 Junior Finals, at Cadogan Hall on 11th March 2019 with The Doctors’ Orchestra under the direction of Stephen Brearley in aid of Freedom from Torture. Tickets are available to be booked via Cadogan Hall’s website here. 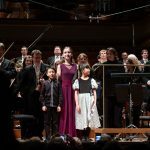 You can find out more about Tianyou and Max by watching videos of Tianyou’s performances from the Menuhin Competition Geneva 2018 here and a video of Max’s experience at BBC Young Musician 2018 here (if you watch carefully you’ll also see SongHa Choi, winner of our 2016 Senior 2nd Prize, performing with Max in his trio and Jennifer Pike, winner of our 2002 Junior 4th Prize, as one of the BBC Young Musician String Final jury panel). You can also watch Max’s performances with the Junior finalists of the Menuhin Competition London 2016 here.